Late yesterday, Double Helix, the studio behind the Killer Instinct Revival on the Xbox One, was purchased by Amazon. The online retail giant has been in the rumor mill as of late, with rumors speculating a possible android based console or becoming a publisher. This is not the first games studio that Amazon has purchased. In 2008, the retailer bought Reflexive Entertainment. Double Helix has a rather stable, if not unremarkable, resume. Double Helix was formed by the merging of Shiny Entertainment and The Collective. They recently have had success with the revival of the Rare fighting franchise, Killer Instinct, and were picked by Capcom to revive the Strider franchise. Previously they had two titles in established franchises that were mildly received, Front Mission Evolved and Silent Hill: Homecoming. Outside of those titles they have had a string of movie tie-in titles that were poorly received. Microsoft has responded to Games Industry International about the transaction saying “”We want all of our loyal fans to know that the Killer Instinct team at Microsoft is not changing and that the franchise will remain with Microsoft Studios. We remain dedicated to delivering a great experience and plan to announce our new development partner soon. We’re excited about the future of this popular franchise.” It will be interesting to see what comes of this, if any rumors come to light. The Strider reboot that Double Helix is putting the finishing touches on, will be downloadable, which will be available on February 18th and 19th, 2014. The title will be available for the PlayStation 4, PlayStation 3, Xbox 360, Xbox One, and PC. The title will run you $14.99. Loot the World and be Merry! 2 Comments on Loot the World and be Merry! Are you bored with the holiday shopping? Do you wish for something to hold your interest while you duck, dive, and dip through the holiday crowds? 2K games and Gearbox Software have you covered. This past week they released the Loot the World app, which is available on both the Apple App Store and Google Play. 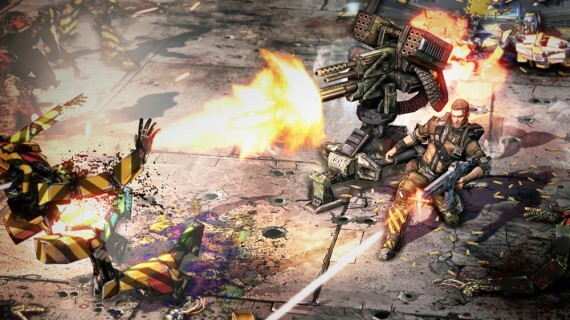 The app is free and will have you grabbing loot for your characters in Borderlands 2. The app syncs with the email you used for the Shift profile and will transfer loot to you in game. 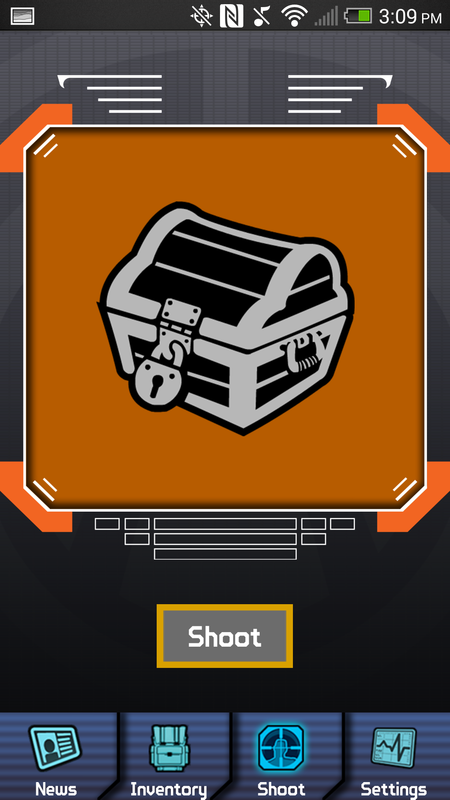 How do you get this wonderful loot you say, simply by scanning QR codes. 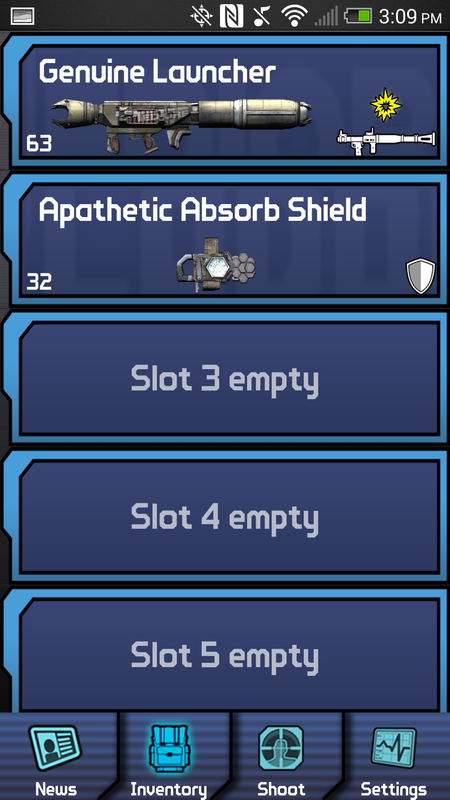 Those wonderful little black and white pixelated gems are your keys to getting weapons, shields, and a handful of other goodies. The interface is quite simple with 4 tabs at the bottom, one being your inventory which can hold up to 20 items. Once you have snagged something you want, you spend stamps to send it to your character in Borderlands 2. 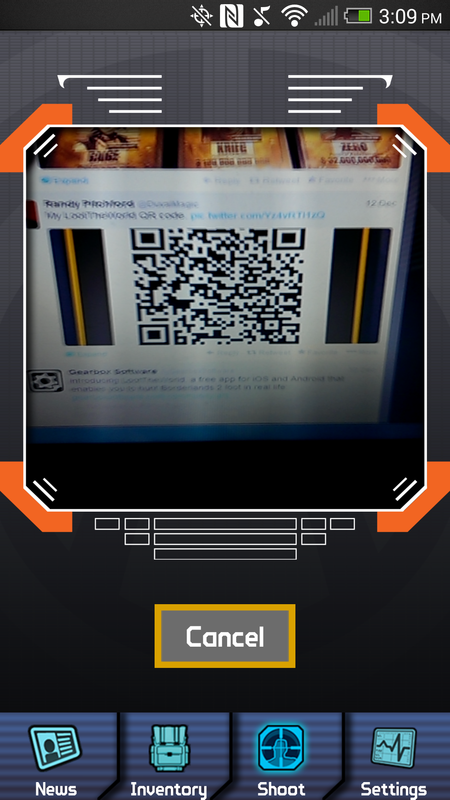 There are plenty of ways to get stamps either by QR codes on products or through Randy Pitchford’s Twitter periodically. I went around Target with my fiancee the other day and was scanning QR codes while she shopped, I got to play a game, she got to do Christmas shopping; a win for both. You can check out the few screens of the app below I took with my phone, and it is available for free in both the App Store and Google Play, unfortunately it is not available for Windows Phone. 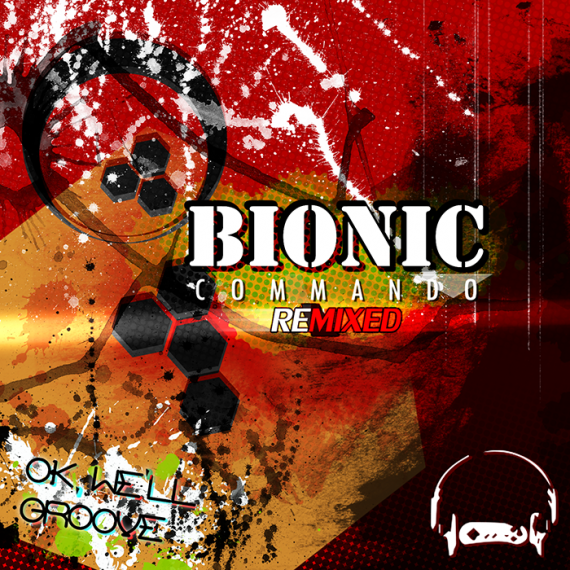 This week has just been a splendid week for video game music as we saw the release and Gaming in Stereo featured soundtrack to Batman Arkham Origins yesterday, and today the release of Bionic Commando ReMixed: OK We’ll Groove! Well to be honest, the latest from OverClocked ReMix hit yesterday, I was just so busy I didn’t have a chance to give it a proper listen. Now that I have the album set to repeat I must say, it is one of their finer efforts. There is a variety of music genre’s that can be found on the album, everything from dubstep (the wub wubs), trance, to synthetic orchestra, jazz, and rock. They somehow mesh very well and some even feature some of the original chip tunes from the NES title. All the tracks despite polar genres, all have a great energy to them. One thing I love about Capcom, even current Capcom, is their high energy music output. 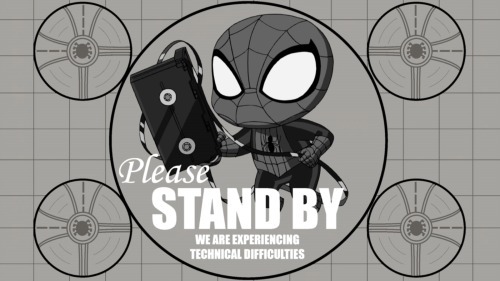 I love the electronic mixes we see in Street Fighter, Marvel vs. Capcom, and the interesting music we saw from some of their downloadable titles such as Mega Man 9 & 10 and Bionic Commando: Rearmed. I unfortunately was late to the party with Bionic Commando, my first time with the title was in 2008 with Bionic Commando Rearmed. I loved Rearmed, and if fact, just played through it again not too long ago. 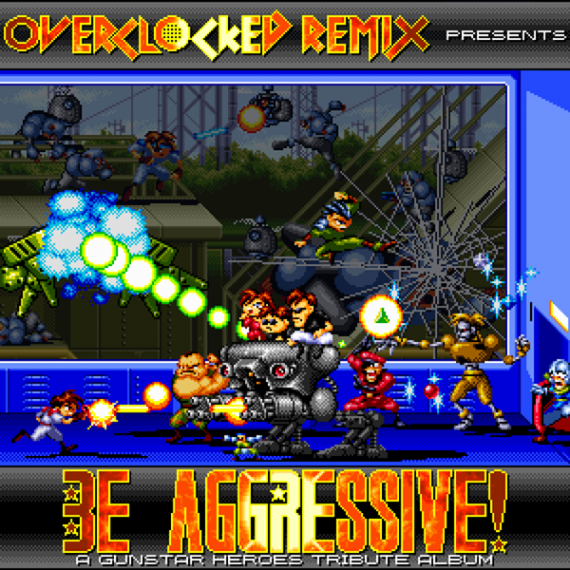 Bionic Commando ReMixed: OK We’ll Groove is available for your listening pleasure and as a free download over at OverClocked ReMix. Down below is the official trailer for the album and one of my favorite tracks from the album. Have a listen and download the album and support this great community of talented artist. I love the high energy and the staccato stops. No your speakers are not broken, just a great effect used well, effectively. What a weekend, that culminated into a very sad day yesterday. Personally I have had a very rough weekend and start to the week, but I still want to sit here and write about games and discuss games, because games and the games industry make me happy. I am going to link a couple of articles that I feel are important that I have found around the web, while I went to and from the hospital this weekend. Here we go! Games Industry International – This article was just posted today, but I still find it very important, though I have not had ample time to mull over the subject. The article is on the decline of mobile gaming and devs finding it easier and more cost effective to head to PC’s and consoles, now that they are offering self publishing. The other thing I find interesting is a few years ago, everyone was on the mobile bandwagon, and that your iPhone was going to replace your portable and console gaming. I remember Rovio, the developer behind Angry Birds, saying mobile will rule the market and that Angry Birds is better than some AAA titles, or something along those lines. Please don’t quote me, I am paraphrasing from memory. Anyway, the mobile space is now in decline, with devs jumping ship, and 3DS sales are very strong and has a great library making it very competitive. Check it out, let me know how you feel about the mobile segment. Game Trailers- Annoyed Gamer – Marcus Beer is either loved or despised, but he brings up plenty of good points. Personally, I like the guy and we need more people to question the industry we work in. His latest rant is on the subject of Grand Theft Auto V, not the game but on mature rated games getting into the hands of kids. Marcus can be a bit brash, but he has a very good point. Enjoy and hopefully it provokes your thoughts. 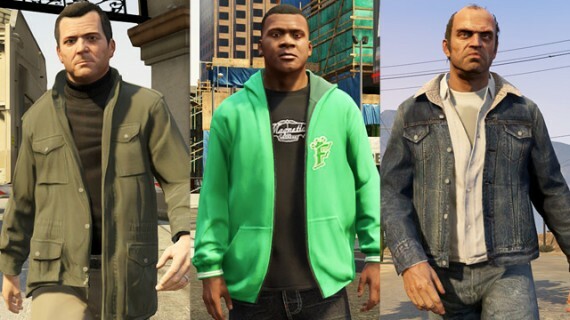 I was absent yesterday trying to get through Grand Theft Auto V in a effort to finish the story in a timely manor for review, but there was some large moves in the industry in the past two days. 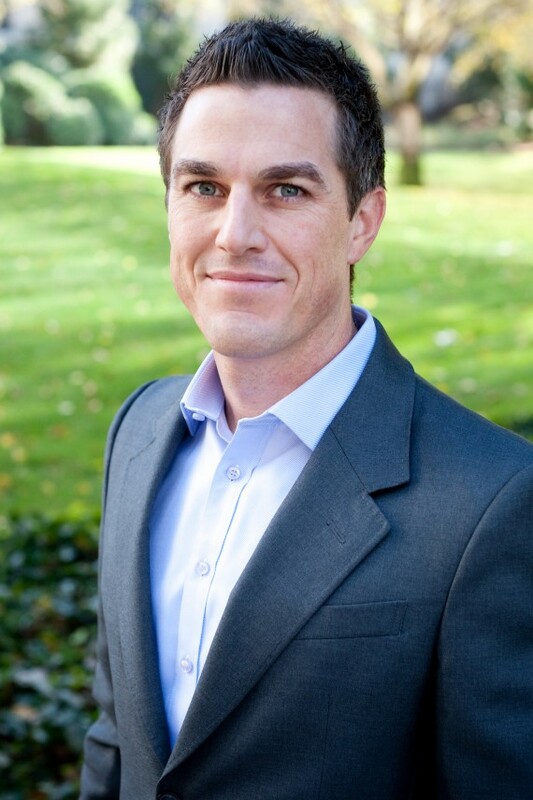 EA has finally appointed a new CEO after John Riccitiello who resigned in March of the this year, and that new CEO is the executive vice president of EA Sports, Andrew Wilson. There were several candidates in the running for this position including the former Xbox head and now EA COO, Peter Moore, and EA’s Labels president Frank Gibeau. It will be interesting to see if there is any bad blood between Wilson, Gibeau, and Moore now that the shareholders have spoken. I am curious on several of EA’s next gen launch titles. I an anxious to see how Battlefield 4 handles the new hardware and if their sports titles will be more advanced and better packages than what we are getting on the current gen. I was sorely disappointed with Madden 25 on the current gen, with this year feeling more like a rehash from last year, even more so than previous entries. We will know when the new hardware launches in less than 2 months. The house that Sonic built has built the house that Persona built. Sega announced this week it has purchased Atlus for $140 million. Sega has really been changing itself over the past couple of years for the better, starting with Sonic Generations and All-Stars Racing Transformed, and they picked up Relic Entertainment during the THQ fire sale. Sega has just recently released the well received Total War: Rome II and Company of Heroes 2, with the great looking Sonic: Lost World coming to the Wii U and 3DS in just over a month. Atlus is known as the niche game savior with the Shin Megami Tensei and Persona series. it will be interesting to see how Sega’s new acquisitions play out for them as the publisher returns to form. Who says crime doesn’t pay? We in all actuality it doesn’t but Grand Theft Auto V cleared a huge $800 million mark in the first 24 hours. Games Industry International is reporting that this is a first for Rockstar and their parent company Take- Two Interactive. Halo 4 reached $200 Million in 24 hours last year, and Black Ops II did somewhere around $500 Million, making GTA V the top grosser. The estimated cost of development was bordering $270 million, that is summer movie territory. I am several hours into the game and have spent ample time messing around in the world and the technology that went into the game is extremely impressive. The way they were able to get this game running on the extremely aging consoles is beyond me, and they should be commended for that alone. 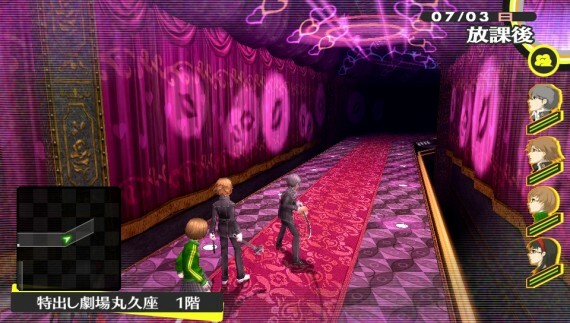 The game was released on September 17th. 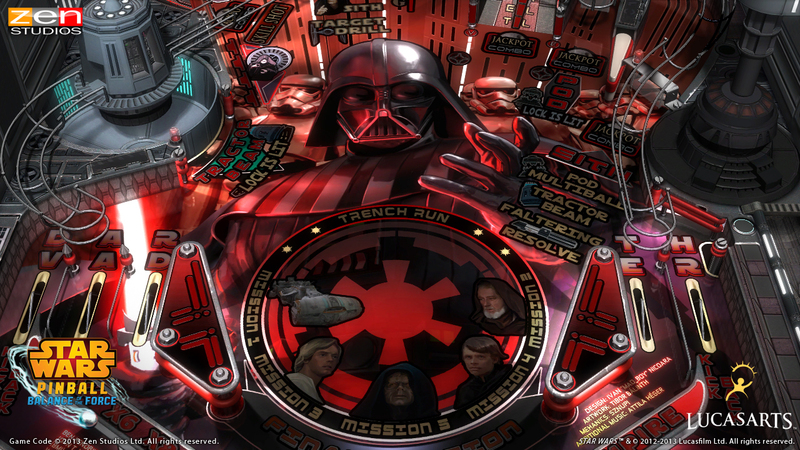 More Star Wars Pinball? Yes Please! 2 Comments on More Star Wars Pinball? Yes Please! 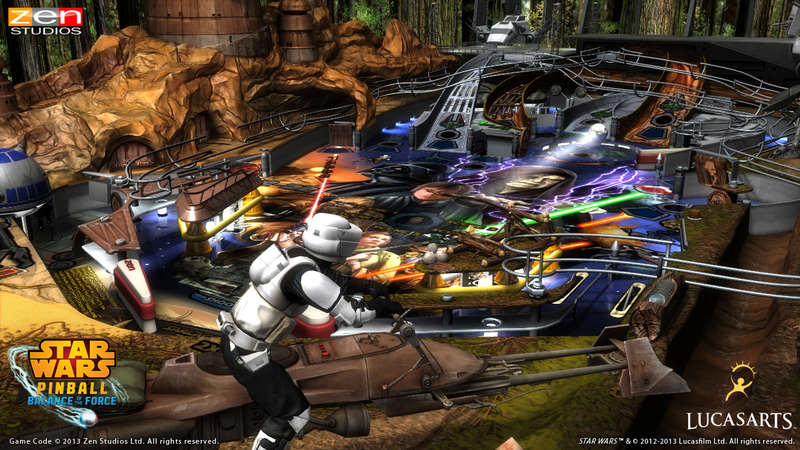 Zen Studios has been churning out great pinball outings since 2007 with the original Pinball FX. Pinball FX 2 (Xbox 360) and Zen Pinball (PS3, Vita) have become hubs of great pinball tables, both original and based on existing franchises. The Marvel tables were a huge hit and well done, culminating 15 great tables each with their own theme. This past spring we received 3 Star Wars tables that were available on the console platforms as well has several tablet and phone marketplaces. 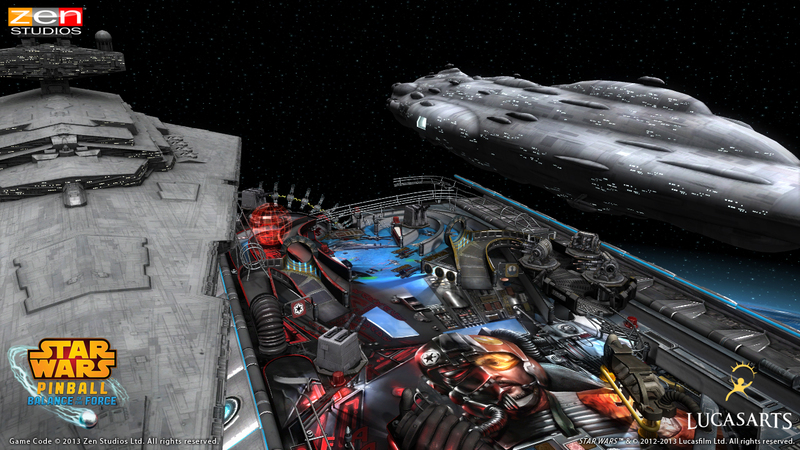 They turned out to be superb, and now we are getting even more Star Wars Pinball. “Balance of the Force” add’s three new tables to the existing line up. 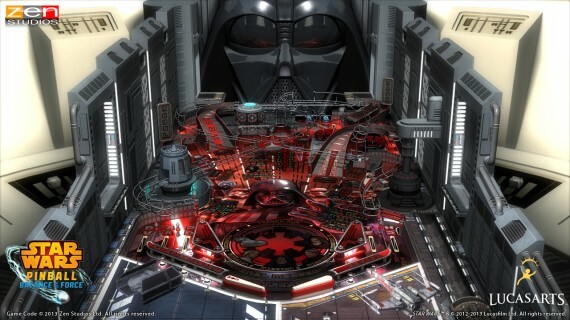 The three tables will feature their own themes, “Star Wars: Episode VI Return of the Jedi”, “Darth Vader”, and “Star Wars: Starfighter Assault”. The tables will be added as add-on’s for Pinball FX2 (since itself is a distribution platform) and for the other version will be an add on to Star Wars Pinball so the content can be found and added with ease. The new tables will be out this fall, and will be available on Xbox Live Arcade, PSN (PS3 and Vita), the Wii U eShop, the Apple App Store, Google Play, Windows 8, Steam, Mac App Store, and the Kindle Fire HD. I already own the first three tables (among almost all the other tables available on Pinball FX 2) and convinced my mother to get them on her Kindle Fire HD and she loved them. 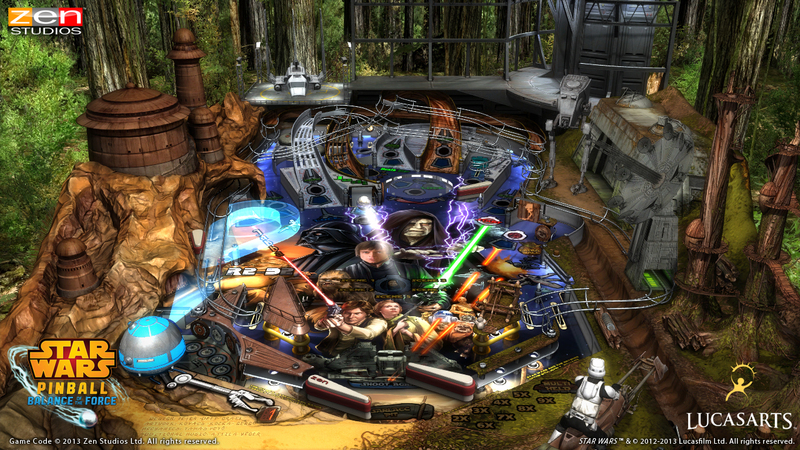 If you have any love for Star Wars, Pinball, or a game to just pick up and play anywhere, then please try out any of Zen Studios Pinball titles. Right off the heals of the last album, OverClocked Remix is putting out another album announced today. “Be Aggressive!” is the title of this new album and will a remixing of Gunstar Heroes soundtrack. Gunstar Heroes is still considered one of the best Sega Genesis titles of all time, and is one of my personal favorites. The album will consist of 24 tracks and will bring a high sense of energy to the track listing. Gunstar Heroes is a action platformer and developed by Treasure. Gunstar Heroes was the first title developed at Treasure, Treasure would then go on to develop classics like Radiant Silvergun, Ikaruga, Guardian Heroes, Bangai-O, Sin & Punishment, and its sequel Sin & Punishment: Star Successor. The album will be released soon, that is the best specific date I can give you. However, there will be an early listening party this weekend on Arecibo Radio. The pre-release recording will air on September 8th, at 6 p.m. EST. Be sure to tune in and check out the latest and greatest from the great people over at OC Remix. The official trailer for the album is below and I hope that all of the trailers music is on the album, awesome stuff. Here is the link to the community page that has the official track listing and Remixer(s) on the project. Bonus Track: To keep up with the current Kickstarter campaign started by Video Games Live creator and game composer Tommy Tallarico, OC Remix is offering up a remix he and Dweezil Zappa had done for Pac-Man World Rally in 2006. The track is title “Cloud Garden” and has some fantastic guitar riffs, with some added nostalgia effects. The track is a bit on the short side but worth the listen and download, which can be found here. The Kickstarter campaign can be found here , there is just a few days left. Help support video game composers and their music! Help Fund the Next Video Games Live Album! 1 Comment on Help Fund the Next Video Games Live Album! Going through Kickstarter can be a risky business. We have seen games get the funding they need through this start up, and we have seen games fail to get the funding they need as well. Video Games Live, the decade running concert series, is giving a crack at Kickstarter to fund their third full length album. Video Games Live: Level 3 will be comprised of 15 to 18 tracks and including a whole list of titles that VGL has never done before. To note, this album, if funded, will be recorded in studio rather than live. They mentioned Shadow of the Colossus, I really hope they do a rendition of The Opened Way (a track which I am listening to right now on repeat). If you donate at least $5, you will receive a special 15 track compilation that will not be sold in stores or online. The album has a $250,000 goal and so far they have reached $128,000 with 15 days to go in the campaign. I am donating to this campaign. I have spent that past year or so on this site trying to highlight the incredible music this industry has produced since its inception. I have maintained support for Video Games Live and outlets like OverClocked Remix, showing how much musical creativity there is in the industry and the community. Help show your support with a simple donation, the donations start at just a $1. Information on the Kickstarter campaign can be found here and you can find out if Video Games Live is making a tour stop near you right here. I apologize for skipping this segment last week, with the significant other in and out of the hospital, it was a busy week. Now, since all is well, I have 4 remixed tracks for your listening pleasure. 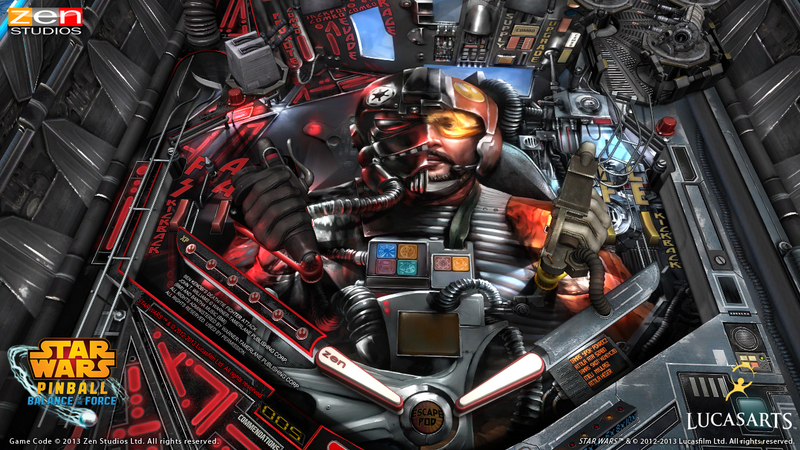 OverClocked Remix has replaced iTunes or Zune (Xbox Music) as my go to for music, personally. My phone and MP3 player are filled with tracks from OC Remix and 8 out of 10 times, that is what is being played when I travel down the street or from state to state. Though this music maybe just remixed tunes from video games, these are typically labors of love. No one is getting paid, there are no manufactured tracks; it’s music for the love of music, and I respect that. 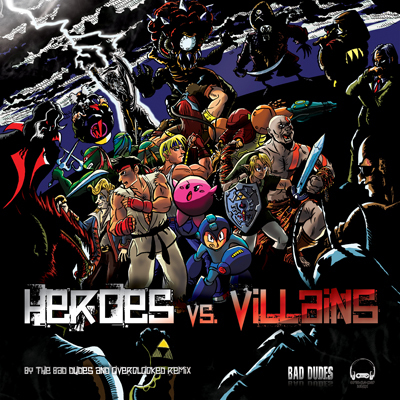 The three main tracks are from a OC Remix album from 2011 highlighting tracks between famous heroes and villains dubbed simply “Heroes vs. Villains”. Now, the bonus track is not from OC Remix, it is by Plasma3Music, the same one that made the awesome “To Galaxy” remix I featured two weeks ago. His track was the one I was looking for when I stumbled upon his Halo 4 rendition, and I am finally sharing it this week. Now on to the music! This track is just fantastic. Now that’s out of my system, the beginning of this track is eerie and haunting just like the dilapidated opening to the game. At the (1:13) mark kicks in the Capcom like guitar that propels this track into atmosphere. The middle of this track seems more fitting of a Capcom fighter, though towards the end it reverts to the loneliness of the Metroid titles. At (3:25) the haunting opening music reverts back and ends with the cry of the baby metroid. This track would fit right at home in the next Smash Bros. title if Nintendo would be up for putting OC tracks in the mix. I have several Metroid tracks, but this if by far one of my favorite. At the (2:41) mark it sounds like I should be sitting at a menu for a recent Street Fighter release, but I’m not. I think that is why I love this track so much, it incorporates many of the great Super Metroid themes and adds a recent Capcom vibe to it. Enjoy this great hunt for Mother Brain. I am a huge Teenage Mutant Ninja Turtle fan. I grew up during their popularity during the late 80’s and early 90’s, I had so may action figures it was ridiculous, and I still see Turtles in Time as the best brawler of all time. I love the first movie for its more faithful comic representation than it’s campy sequels and still think the first NES title has some of the best Foot brawling music in a TMNT game to date. This remix, is a look at the title screen music from the NES classic Teenage Mutant Ninja Turtles. The remix starts out soft with a good drum beat and synth notes, at the (0:43) the ripping guitar takes hold of the classic menu music. The pulsating drums and guitar take a break around the (1:39) mark to make way for the surreal synth, while the guitar picks back up for a reprise at (2:11) to bring the melody back into play. This track is a great ode to one of the NES greats, even though the game is still tougher than nails. I am always on the look out for new Street Fighter mixes and came across this one while checking out the Heroes vs. Villains album. It has smooth jazz themes, a great beat, and features a koto (a Japanese instrument). This is Street Fighter at its smoothest, but yet feels like it could fit. Most of the modern Street Fighters have a very electronic vibe to the music, but this could mesh very well. The more uptempo beat could set the rhythm well for bouts. I could even see myself cruising along the coast line with this playing an not feel out of place, it’s just such a great song to kick back to. Enjoy. Now this is not the official track that will be in DuckTales Remastered but a take on the theme since the game was announced. Plasma3Music has captured a huge orchestra sound for the classic 8-bit tune and knocks it out of the park. When I first heard this remix on his YouTube page, then as fast as possible headed to his Soundcloud page, downloaded it, and hit repeat for the next couple of hours. If you have ever listened to 8-bit tracks, you know that DuckTales “Moon theme” is one of the classics. This remix takes out almost all the electronic components and replaces them with pianos, horns, and strings for an effect that is epic in scale. Capcom should have got in touch with him to feature the music in the remastered game, but we will see how the game turns out here in just a week when the game hits on August 13th. Quakecon is in full swing down in Dallas, Texas this weekend and to start the convention, John Carmack took to the stage to weigh in his opinion on several key issues going on in the industry and technology. John Carmack is ID Software’s tech guru and titles like Quake, Doom, and Rage would not be possible with out him. A very bright and very technical speaker, if you are not up on technology or gaming, you can get a bit lost. While he does get on a technical note on kernels, processors, coding, programming, GPU’s, and rendering; he does touch on simpler subjects such as next gen consoles, Kinect, displays, and the mobile market. He can be a little long winded, clocking in just over 3 hours; but it’s a very compelling keynote. If you want to get a bit technical and listen to one of the brightest minds in the industry, I urge you to watch it. If you are in school for design, coding, hardware, or any technical program; you should take notes. Enjoy!